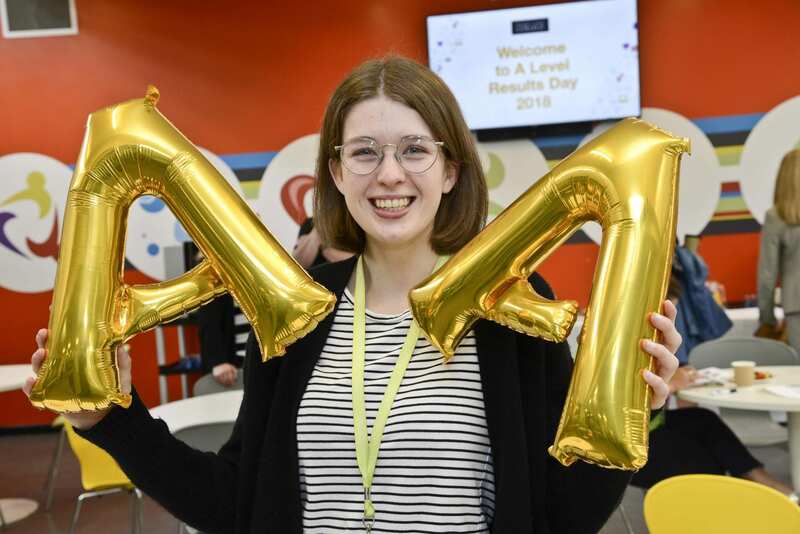 NCC student Hannah Marshall is jumping for joy after achieving AABB in Maths, Physics, Computer Science and Further Maths. Hannah, 18, who previously attended Colne Primet Academy, is now heading off to Queen’s University Belfast to study Physics with Medical Applications and feels she has gained the necessary experience, knowledge and skills to thrive in her degree after studying at Nelson and Colne College. Hannah said: “I’m so overwhelmed with my results and can’t thank NCC and my teachers more for all of the help and support – I couldn’t have done it without them. “I believe the A Levels I have studied at Nelson and Colne College will help me successfully transition to a challenging degree, especially the range of modules I have studied in Maths as I am now competent across a wider range of Mathematics. “I’ve really enjoyed my time at Nelson and Colne College – the staff are excellent and they have not only helped me progress much more than I thought I was capable of, they have also made learning fun and interesting. “I’ve also had a number of extracurricular opportunities and the highlight was definitely the Physics trip to Iceland where I saw the Northern Lights!